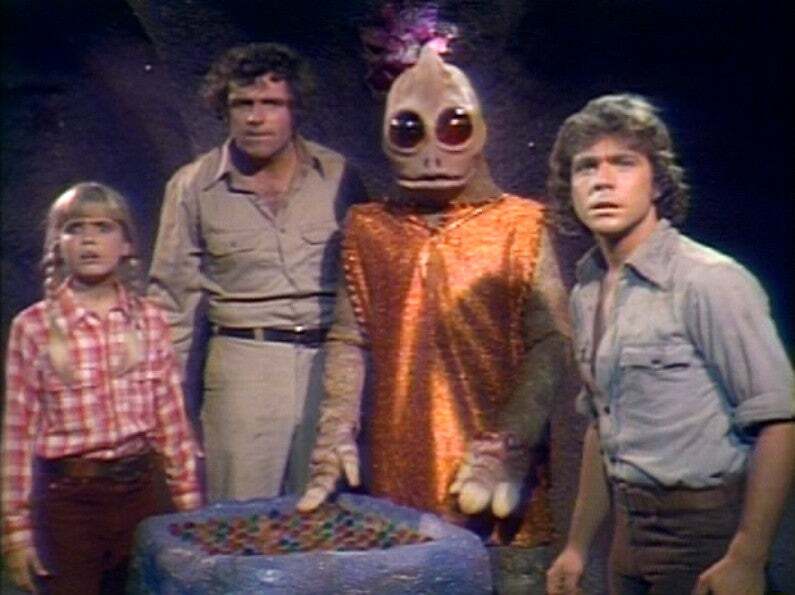 Following on the heels of a 2009 movie so disappointing that they called it one of the worst films ever made and apologized for it during their Comic-Con panel, TV legends Sid and Marty Krofft told fans that they will bring back their cult classic Land of the Lost. The movie is one of a number of projects currently in the works for the TV icons who developed projects like H.R. Pufnstuff and Sigmund and the Sea Monsters, the latter of which is in the pilot stages at Amazon. "[Universal Pictures] had it for five years," Marty Krofft told ComicBook.com during a brief interview after the panel. So now, Land of the Lost is coming back and we're not going to do a deal with a studio. We're going to fund the picture ourselves, spend the budget, find investors and do the picture. But we're going to do it right. We're not going to do another one where we knew that mistakes were made. We won't make the same mistakes again." Sid Krofft said that the pair were largely uninvolved with the previous film, although they had visited the set. The air agreed that they had expressed concerns even then that the movie seemed to be going awry, but were dismissed by a studio who had already spent close to $200 million on the Will Ferrell-starring comedy. "You've got to be careful doing a reboot," Marty Krofft said. "You can get yourself in a lot of trouble. I mean, Land of the Lost, we were involved at the beginning. The problem was, once I got Universal involved and they put up $230 million, then as you keep going on these developments and more and more people are gathered to do it, you lose control as it goes along. By the time you're on the set, you're shooting the picture, the ship has sailed." "I didn't know that Will Ferrell was going to turn this into a Saturday Night Live sketch," Marty Krofft lamented. "And then they walked away. What happens is after the picture fails, it's our property, our brand. They go off and do fourteen other pictures, and we're stuck with our brand." There's no word yet on when Land of the Lost might be coming back or just how the Kroffts will fund and distribute it, although they indicated that there was substantial interest and they were currently researching the best way forward.